Not a true hawkfish but an anthias, it gets about 3 inches. It will sit on rocks and corals waiting for food to come by. 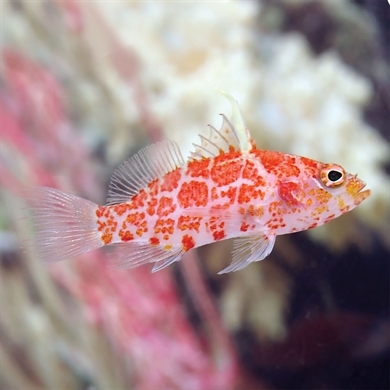 One of the shyer hawkfish, it will hide for days at a time.